Wondering where to stay in the Bavarian capital during your next holiday in Germany? 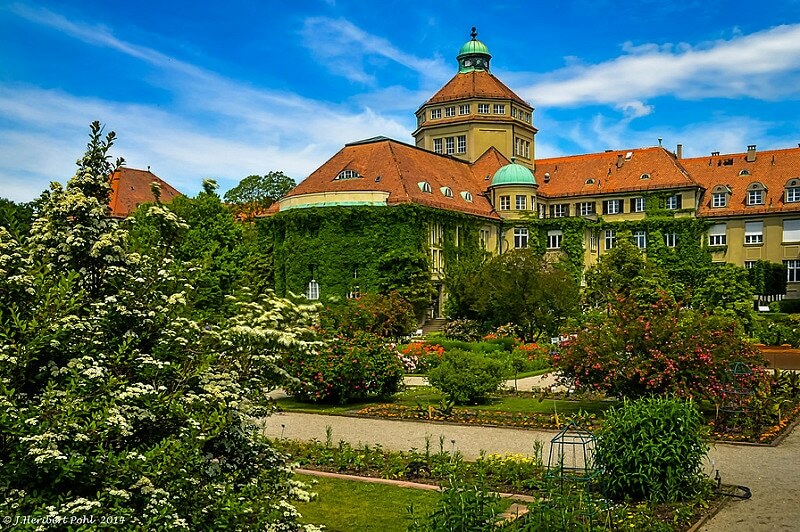 Find out below about the best areas to stay in Munich. With over 1,500,000 inhabitants, Munich is the third-most populous city in Germany after Berlin and Hamburg. Thanks to its proximity to the Bavarian Alps, the high season in Munich lasts almost all year round, especially in winter. As a result, accommodation rates in the city will not be cheap. Moreover, Munich is one of the wealthiest cities in the European Union and one of the most touristic cities in Germany, so staying in Munich promises to be rather expensive. Conveniently located at the foot of the alpine ski resorts, Munich is world-famous for its Oktoberfest, its Christmas markets, and its majestic monuments. What’s more, the city’s neighbourhoods exude a variety of different atmospheres. 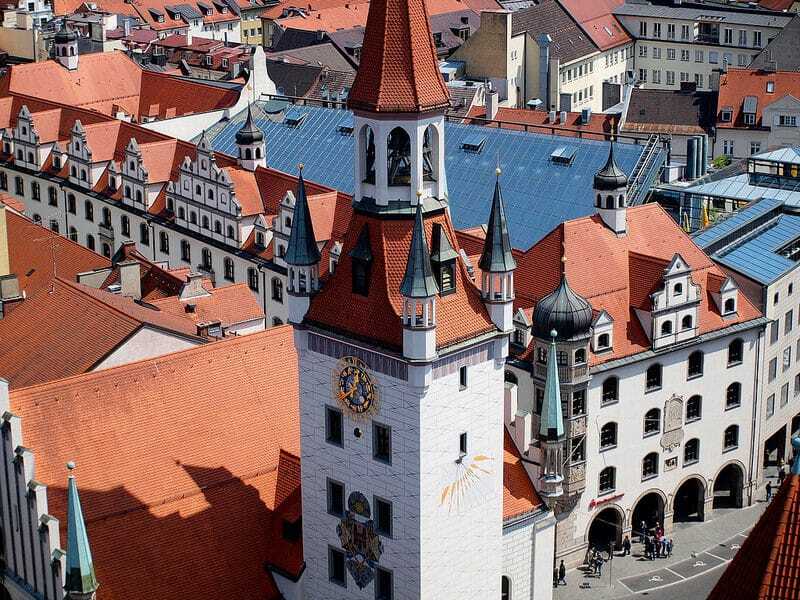 Without further delay, here is a presentation of the best areas to stay in Munich. As is often the case in Germany, the city centre is organised concentrically and offers easy access to numerous tourist sites. Unsurprisingly, it’s the most expensive area to stay in Munich. 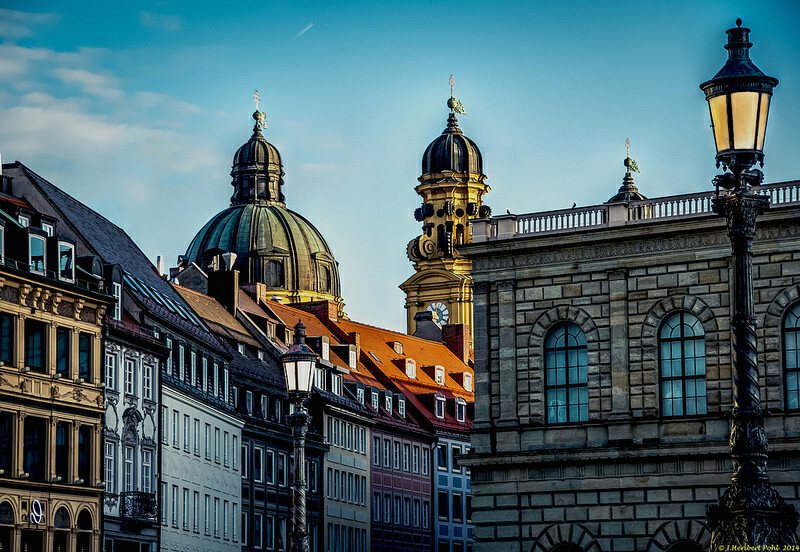 However, it’s also the city’s liveliest neighbourhood : home to large shopping centres, luxury shops, towering corporate buildings, it also features most of the city’s tourist attractions, including Marienplatz, Feldherrnhalle, Wittelsbacherplatz, the national theatre, etc. Naturally, you will come across a profusion of bars and restaurants. If you are looking for a smart, safe, and quiet neighbourhood, look no further where to stay in Munich, this is THE place to be. Traversed by narrow labyrinthine alleys leading to 19th-century edifices and an array of prestigious buildings, the area offers beautiful urban promenades The hustle and bustle calms down at nighttime, when crowds desert the city’s shops and gardens. Lehel offers access to the banks of the Isar, the tributary of the Danube that flows into Munich: a precious moment of tranquility in a haven of greenery. Welcome to the artistic and cultural heart and soul of the city, where museums and “neo-classical” style buildings sit next to students’ residences. Home to the University of Bavaria, the area attracts many students, thus making it possible to find accommodation at moderate rates. It’s a good place to stay in Munich as you’ll be close to the main station and still have plenty of places to go for a walk, like Königsplatz and Karolinenplatz. This neighbourhood is however very quiet at nighttime. A latin feel in a Germanic country may seem odd at first! And yet, Munich was once located within the borders of the Roman Empire! Today, the neighbourhood is a popular haunt for students, artists, and the like. Naturally, the area is full of life, taking on the spirit of a small village in the city. 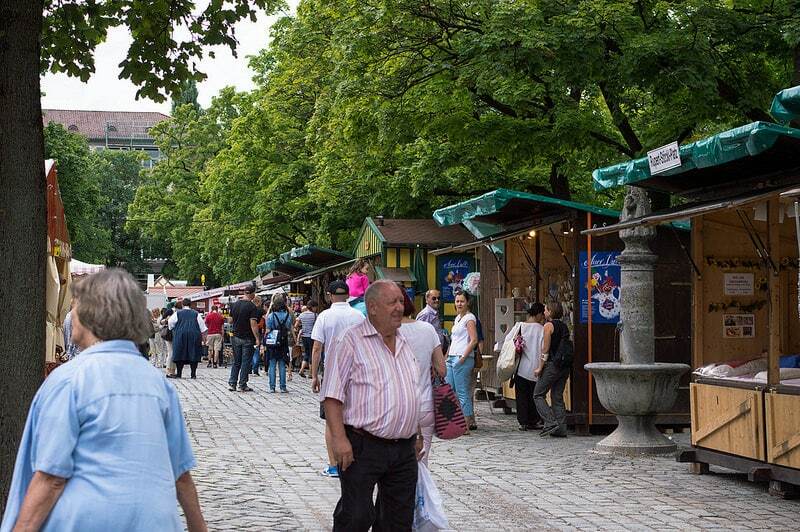 Conveniently located only 15 minutes from the city centre, Schwabing offers a pleasant and relaxing atmosphere. 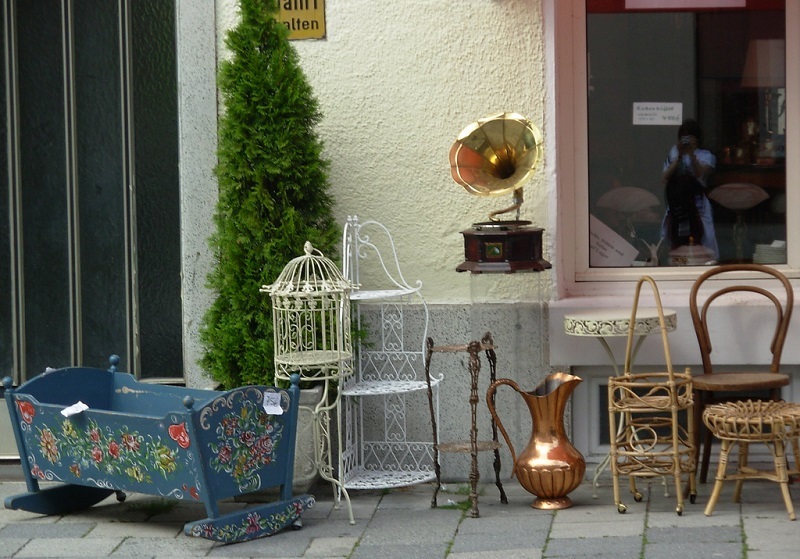 If you choose to stay in this area, you can do it all: go out for drinks, dine in a restaurant, party the night away in a nightclub, attend concerts… If you enjoy lively, young, dynamic, and “artsy” areas, choose Schwabing to stay in Munich. A great place to reside for young and active people. Nicknamed in this way to commemorate the victory of 1870, this neighbourhood is in fact home to very few French people, contrary to what its name suggests… Located on the eastern banks of the Isar, this sloping area is less touristy: an ideal place to move away from the crowds of tourists, while enjoying walks along the Isar, and discover its small cafés, and chic restaurants. It’s good news, then, as lodgings are less expensive in this neighbourhood.